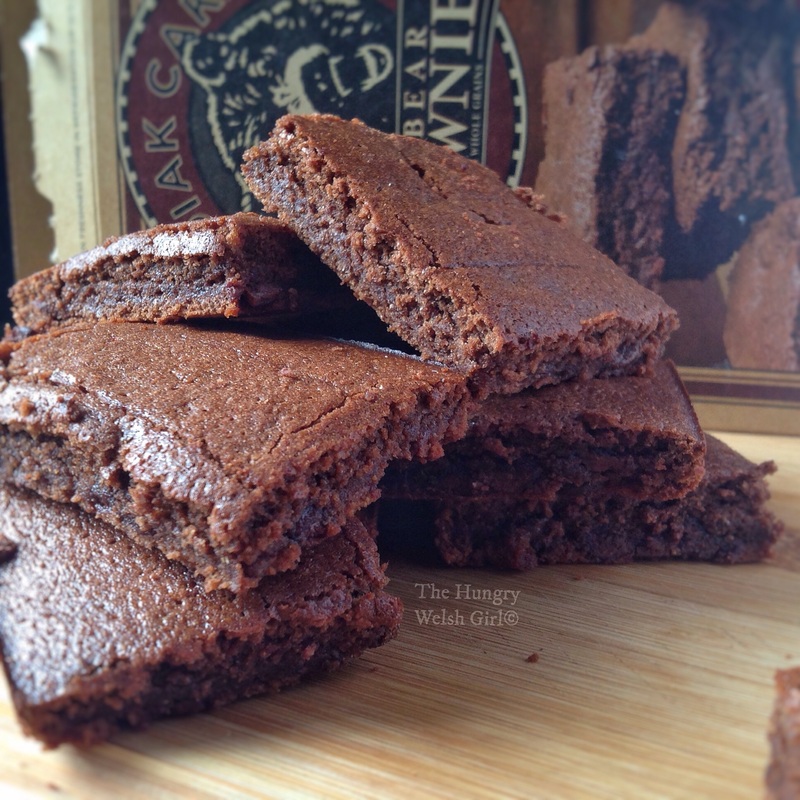 Review: Kodiak Cakes: Double Chocolate Chunk Brownies. I have never been much of a baker, my sister inherited that skill, but I have always given it a good go and sometimes what I bake is edible, other times not so much. Lately, I have been experimenting with healthy brownies and they’ve been somewhat successful. So when I saw that Cardiff Sports Nutrition had sent me a box of Kodiak Cakes: Double Chocolate Chunk Brownie Mix; I knew this is what I had to bake first. As I said, baking is definitely not my strong point and I’ve also never made anything with a box mix before now and as simple, as it may seem to some – I struggled with it. Firstly, the instructions on the box aren’t the clearest, especially to a novice like myself. The box said that one serving of the dry mix was 31g, so naturally I thought this was the amount I would need to use in order to make brownies. No. My sister kindly informed me that a box mix is exactly that – a box with the mix you will need for the brownies. i.e. it has every single ingredient you will need, already measured out to make a full batch of brownies (box says 16) Who would have known huh? Clearly, someone who is used to baking, but not this novice. I even took to Google, because a whole box, seemed like a lot for one recipe. In the end I settled on using half the brownie mix because I didn’t quite know how these brownies were going to turn out. However, when you get over the little issue of how much mix to use, everything else is really straight forward- idiot proof even – and that’s coming from an idiot. But more importantly, if you do use the whole brownie mix, you will get thicker, fudgier brownies. The Kodiak cake, brownies only take 20 minutes to cook, but obviously longer if you use the whole mixture and when cooled they crisp up on the outside, but stay moist and fudgey on the inside. I will say that both myself and my sister were pleased with the taste and texture of the Kodiak Cake Brownies. I did adapt the recipe that was on the box to suit my own needs, so again if you follow the instructions you will definitely get different results, also the size and depth of the pan you use will have an effect on the overall result too – a 9×9 or 8×8′ pan is suggested. I’m not entirely sure what size I used. 1 Box of Kodiak Cakes: Double Chocolate Chunk Brownie Mix. Directions Add all ingredients in to a mixing bowl and combine thoroughly. Then add to a greased 8×8′ or 9×9′ baking tray and bake on 200c for 20minutes. To make sure the brownies are cooked you can poke the brownies with a knife or cocktail stick, if the cocktail stick comes out clean, then your brownies are done. Place the brownies on to a cooling rack and leave to thoroughly cool or if you have asbestos hands, you can cut them and eat them warm. 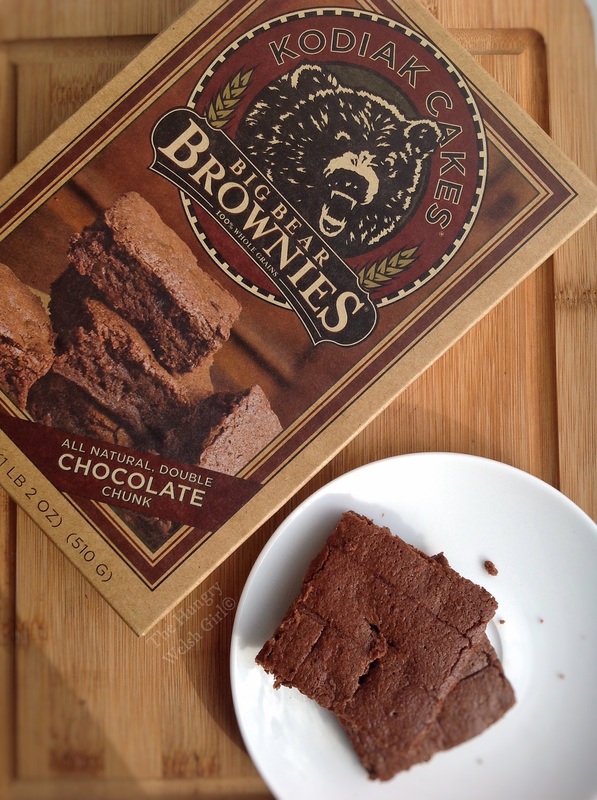 Conclusion: Overall I was quite impressed with the Kodiak Cakes: Double Chocolate Chunk Brownie Mix. When you manage to wrap your head around the instructions it is fairly straight forward from there on and it is very likely that I will purchase this product when it becomes available. The only thing I wasn’t happy about, was that most of the chocolate chunks seemed to have fallen to the bottom of the brownies – this also happened with the minute muffin I tried. Taste: The taste was what I would expect from a brownie. It was crispy on the outside and nice and fudgey on the inside. The banana was apparent throughout the brownie – as I used banana in place of the butter – but it went nicely with the double chocolate flavour. Kodiak Cake products, will be available to buy from Cardiff Sports Nutrition within the next few weeks. www.cardiffsportsnutrition.com I also have a discount code to use at the checkout for 10% off your order – Happy10. Also you can check out my Instagram page for more recipes and reviews – Happy.Hungry.Healthy. Creamy Horseradish, Parsnip & Cauliflower Mash with Salmon and Leeks.